Verbena Cottage was a sea pilot’s cottage built in the early part of the nineteenth century. Not surprisingly all the principal rooms have elevated south-facing panoramic views from the harbour to the Lizard Peninsula. The property has been thoughtfully modernised to provide a spacious feeling within a traditional cottage setting. Tavern Beach is 50 metres away down the hill and the harbour and village amenities less than a five minute walk. The sitting room runs the full length of the cottage, a superb room with a high ceiling and traditional Georgian sash windows and a smaller window in the west wall which captures the last of the evening sunlight. The room has a polished oak floor and an open staircase which leads to the upper floor. At one end of the sitting room there are two settees and a rocking chair, TV, hi-fi, DVD player and a wood burning stove set in an open fireplace. At the other end is the dining table, large traditional dresser and writing desk.Original pine doors lead into the porch which provides lots of space for coats and boots and lets onto the main slate paved terrace where there is a teak dining table and lots of seating – a good place for entertaining family and friends. At one end there is a barbeque area.There is a stable door between the kitchen and the main terrace. The kitchen has a lovely slate floor and is well equipped with electric cooker, a large fridge/freezer, microwave oven, washing machine, dishwasher and lots of cupboard space. Double glazed door lead from the kitchen to a small breakfast terrace which provides some of the best views in St Mawes. The first floor has two bedrooms. The main bedroom has a king size double bed, wardrobe, chest of drawers, a sash window overlooking the sea and an en-suite shower room with WC and hand basin. The other bedroom on the first floor has two single beds, wardrobe, chest of drawers and writing desk with Wi-Fi connection and two sash windows overlooking the sea.The main bathroom has a large bath, wireless –controlled over bath shower, WC, hand basin and large heated towel rail. The well-stocked garden is on three levels with two further patio areas not overlooked from neighbouring properties.Night storage heating is provided in all rooms which, with the wood burning stove in the sitting room, make Verbena Cottage cosy at any time of year. Car parking is generally available in the road on Church Hill 50 yards from the cottage. At busy times in summer it may be necessary to park in the main car park five minutes’ walk from the cottage. "Best view in Cornwall from your sunny terrace. Quiet and peaceful yet a short walk to all amenities. Well appointed house." V. Good accommodation in superb location. "We enjoyed our stay in St Mawes, helped by some beautiful weather. Verbena is superbly situated overlooking the estuary. The house is quite unusual with an interesting mix of furnishing. 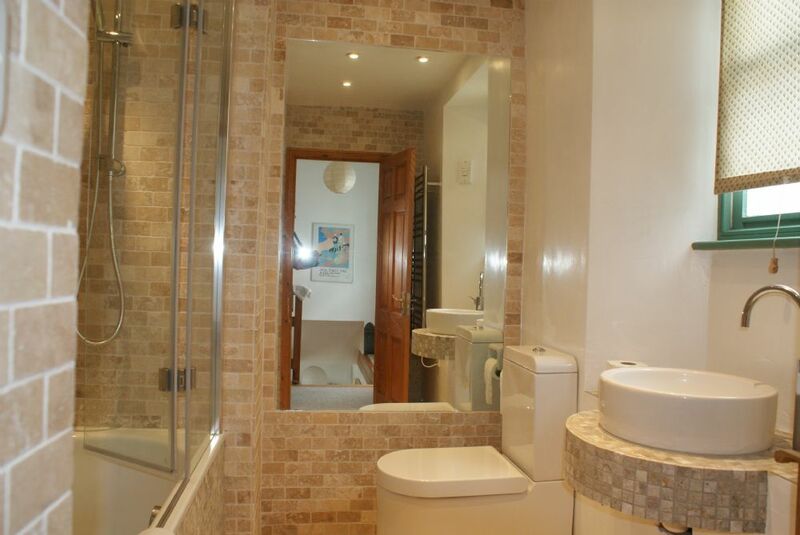 The en-suite is probably in need of a refurb but the house is generally well appointed. " Beautiful location and fab accommodation. "The view and location were amazing and the house had everything we needed. Property could probably have done with a more thorough clean (edges and corners, plus cupboards etc) but on the whole was clean and tidy. We loved it!! " "An absolutely stunning location, overlooking St. Mawes harbour. We have stayed here a few times and have been regular visitors to St.Mawes for 10 years, this is our favourite cottage to stay in. " "Lovely accommodation with amazing views, quite a climb from the promenade but well worth it. I would highly recommend it"